Everyone and their mother seems to have an iPhone these days, but a lot of people just don’t realize the cost of the phone when going into the store to pick one up for the first time. Things like accessories and plan upgrades all play a factor in your plan’s pricing and yearly cost. If you’re wondering how much that iPhone will really cost you, consider these things. If you’re already an AT&T or Verizon customer, you can head into the store or look online at what’s involved with upgrading your phone. Phone upgrades are common, but prices for phones are different depending on the line you’re talking about. With AT&T, you could have one phone on a plan that has a better upgrade deal than another. It’s quite common to switch upgrade options and discounts around different numbers to get the best bang for the buck. Discounts and upgrade bonuses are given based on how much money you’ve spent with your provider before. You can spend some time on the AT&T website to see exactly what they’re willing to offer you depending on which line you decide to use to upgrade or purchase a new iPhone. Another thing to consider are the accessories you’ll inevitably buy for your new iPhone. Most people buy cases and headsets, so remember to account for an extra $50 worth of stuff for your new phone before ever leaving the store. Face it, there are a lot of cool apps and features you’ll want to take advantage of with your new smartphone. While there are a lot of free applications available for the phone, some of them just don’t quite match the performance and capabilities of paid apps. Remember that you’ll probably be buying a few apps throughout the year and that they’ll set you back about $50. And if you’re a big app user and don’t already have an unlimited data plan, it’s a good idea to try and plan for overages that may cost a few cents or a hefty chunk of change. Remember, it’s easy to get sucked into the allure of a new phone, but unless you know how much it will cost you in the long run, it may be best to hold off a few months until you know that you can actually afford all of the extras involved. 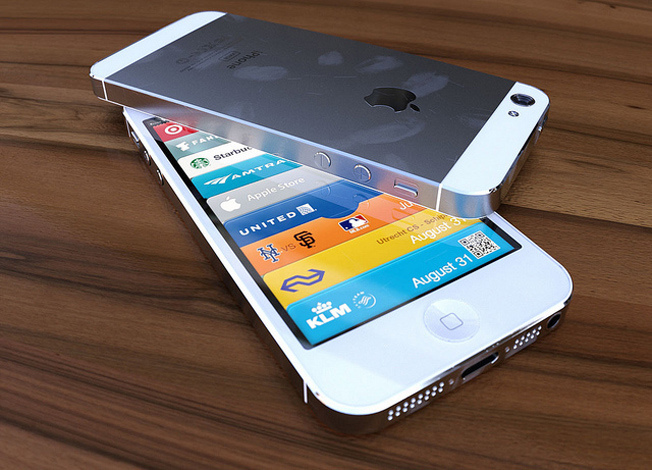 Everything is at the moment mere speculation when it comes to the highly touted iPhone 5. Consumers are yet to get official communication from Apple Inc. regarding the features to expect. For all consumers know at the moment, the iPhone 5 could just be an upgraded version of the iPhone 4. This device is slated for release either in late April or Early May of 2011. As is expected of anxious consumers, they have started doing their digging up in an effort to find out the features that they should expect. Although not substantiated, here are the most probable changes you should expect of the iPhone 5. For several years now, AT&T has enjoyed being the sole carrier in all iPhones, but things are expected to change with the expected new release. Verizon has secured a joint venture with Apple. What this therefore means is that being able to use your favorite carrier would be a huge relief to many consumers and will definitely improve Apple’s ratings. The company is however still hesitant to include more carriers but at least 2 are better than 1. The other expected improvement is on the screen size. This seems to be a wakeup call from others mart phone manufacturers as they seem to have already implemented this much needed change. Because of the growing demands of consumers today, Apple has been led to believe that consumers are in dire need of a larger screen that would facilitate multimedia viewing and what-a-view. One concern though is the rate at which the battery will be consumed should the screen size be changed. Thanks to advancement in technology, today the quickest and most secured way to authenticate someone is by scanning their fingerprints. This technology has become a huge success in automated building doors and some laptops, and is therefore expected that it will be successfully implemented in the iPhone 5. This feature could be utilized when locking and unlocking the iPhone, or alongside the other security features on the iPhone as a way of double verifying should one lose the device, considering it doubles up as an e-wallet. There are also rumors that the iPhone 5 could also facilitate communication via radio frequency or NFC (near field communication). This however is still a rumor and is in the tentative stage as the company is still weighing the options of having and not having the feature. This will make the smartphone very versatile, facilitating functioning as a car key, an RFID, or an e-wallet. Every man-made thing is prone to wear and tear at some point. Pretty much any form of matter will break, wear out, or change point as it ages. Although with the advancement in technology it is expected that devices and electronics will be more durable as the latest techniques will be utilized, it is not to say that all devices are not prone to damage. However, by taking good care of your electronics and devices, you can be assured that your devices will give you a long and loyal service and will work efficiently as expected for the longest time possible. Despite the fact that the Apple iPhone 5 is yet to be released to consumers, it is important to know how to take good care of it. This is one of the most expensive yet versatile devices ever made by man, because of its functionality, its features that make life so easy, and the not-so-cheap price tag it is expected to come with, it wouldn’t be something you can dispose off easily the way you dispose off a toy because it has broken down because of bad care. In order to increase the longevity of your iPhone 5 and keep it in good working condition for the longest time possible, here are some caring tips you will find indispensable. 1. Never abuse the iPhone Glass – if you have ever come across an iPhone, you know that it is made of helicopter glass. The mere fact that it is made of one of the most durable glasses in the world makes some consumers careless with it. However, for you to get the most dedicated service from the iPhone 5, you should take good care of it. While it is OK to put your iPhone in the back or pocket, avoid mixing it with other stuff such as keys as they can dent or scratch the glass with time. 2. Avoid overcharging your iPhone 5 – this is true of all devices and not the iPhone 5 alone. The iPhone 5 is expected to come with an un detachable internal battery. If overcharged, the battery life will be compromised and so will be its functionality. What this will mean is that you will need to detach and replace the battery as you take it to repair. To avoid all this, avoid overcharging your iPhone 5. Although many people buy devices because of the entertainment functionality, you should avoid over-playing games as they too are known to compromise on the life of your battery as well as the touch mechanism. There are so many smart phones in the current digital market today but none can rival the iPhone 5G. Most manufacturers today have come out in large numbers to satisfy the growing demand for smartphone devices, and are continuously upgrading to meet the changing needs of the growing demands of the consumers. Some notable companies with notable Smartphones are Sony Ericsson, Samsung, LG, HTC, and the unrivaled industry giants Apple. The reason why Apple Inc. deserves the giant title is because of the significant role it keeps playing in the technological world. Were it not for the Mac, today Windows would be the dominant OS in the market because UNIX is as good as non-existent owing to the fact that it is the most un-user friendly platform today. By the same token, Apple Inc. has made noteworthy contributions in the entertainment industry, starting with the much celebrated iPod and gradually evolving into what is today known as the iPad. So what justifies this huge popularity of the iPhone 5G? Why is it thought to be the smartest phone yet in the market? The first reason that justifies the huge popularity of the iPhone 5 is because Apple is very generous to work with other consumer-friendly companies. Apple has connections with Starbucks, Sony, Walmart, Visa among many others. It therefore goes without saying that it combines the best of all worlds to come up with a distinctive piece of device that will cater to consumers in all levels of operation. A good example is the integration of a Sony digital camera in the iPhone 5. This simple innovation is one of the many things that set the iPhone 5 apart. The second reason why the iPhone 5 is recording such huge success is because of the technology behind it. Apple is known to utilize the latest unrivaled technical design; a good example is the Macbook Air. Apple is known for making featherweight devices that do not compromise on their efficiency. Actually, some of them are as competent, if not better than their heavier counterparts. It is therefore expected that the iPhone 5 will not disappoint when it comes to showcasing this sphere of Apple. The great touch mechanism utilized in the iPhone 5 is the other great reason why this smartphone has gained such a huge competitive edge over the competition. According to studies done on touch screen phones, the 4G smartphone had a very sensitive and accurate ability to read a user’s finger. It is therefore expected that the iPhone 5G will be the most advanced and superior smartphone yet in the market. It is now official, the iPhone 5 is about to hit the markets. It is one of the most awesome devices in the market, which is the least that can be said for now. This is because it doubles up as more than just a smartphone, if the current rumors are anything to go by, the iPhone 5G from Apple Inc. is expected to double up as an e-wallet, car keys, an RFID and many more. Just the mere rumor of it hitting the market in a yet-to-be-announced date is reason enough to have most consumers push it up their must-have list, but it is understandable why considering the many features and changes it is rumored to bring to the table. It is to be mentioned that while the iPhone 5G is slated for release anytime in 2011, there is no official communication as to the specific date or the official features the phone will have. The following therefore are simply rumors of the expected improvements and changes on the iPhone 5G. At the moment, the iPhone 4G does not have a customizable dashboard. Being a company that heeds to consumer requests, chances are quite high that Apple will improve this all-important aspect by upgrading the iOS. It is the hope of consumers that if this feature is implemented, they can be able to customize their home screen with what they want and when they want it. Such things as calendar, inbox, reminders, notes, call log etc can come in handy when on the home screen. Although the iPhone 4 camera had a much upgraded camera from that of its predecessor the iPhone 3, there are rumors that Apple Inc believes that consumers deserve much more in terms of the camera. There is reason to believe that Apple has partnered with Sony to offer an 8 Megapixel superior quality camera on the iPhone 5. The company is capitalizing on the simple fact that today’s electronic consumers are migrating from digital cameras to devices with multi-function abilities like iPhones. The current iPhone in the market, the iPhone 4 has 16GB and 32GB models. Some consumers found this a huge disappointment considering the fact that being a multi-functional device, storage space is of much essence. The company is looking to address this issue on the upcoming device. Rumors are rife that it might come with 64GB and 128GB versions. These are few of the many features to expect of the upcoming iPhone 5. It is the hope of all consumers that Apple will not disappoint because these are certainly features which consumers will take with both hands. By the time of writing this article, Apple would have probably completed the last specifications of the rumored iPhone 5 that is expected to hit the markets any time soon. Although the company is very silent on the expected features of the device, consumers can only wait in bated breaths but expect the best that Apple has to offer. Being the industry giants when it comes to electronics, there is no reason why consumers should doubt the capability of this new device. While debate is rife as to the additional features that the Apple iPhone 5 is expected to come with, there can be no mistaking that there are some notable features which, despite being much anticipated by consumers, they have been left out. There are some features that are simply out of the way for the standards of Apple while other features are simply ridiculous. The first notable missing feature is the Micro HDMI port. In March of 2011, the company announced that the iPhone 5 will support 720p and 1080p video outputs. While this is OK, the only problem is that consumers will need to incur an additional cost of $40 in order to purchase Apple’s Digital AV, as that is the only converter that can work on the iPhone 5. Not only is this converter bulky, when compared to a micro HDMI port that will use an affordable and very efficient cable that goes for only $5, it is a huge turn-off to consumers. If you are still hoping that the company will hear the plea of consumers and make changes, you might want to scrub the feature off your list because there seem to be no signs of any adjustments at the moment. If you’re an iPhone fan, we definitely salute you. It’s a great day to be a fan of one of the most popular phone on earth. Even though Android sales are popping, the truth is that iPhone users still have a lot to smile about. However, when you get your iPhone, you need to think about more than just accessories. For example, you might want to think about AppleCare. AppleCare? Yes, AppleCare. If you aren’t in the loop yet about all things Apple, then you need to know that AppleCare is simply the type of protection that comes from Apple to cover certain hardware problems and gives you technical support when you need it. When it comes to hardware problems, it means that it covers parts and labor, two things that you need to make sure that you will be able to enjoy your iPhone for a very long time to come. This also means the battery, if you’re thinking about how to replace that pesky battery that gives out on you. Without AppleCare, you would have to cover the cost of the parts as well as finding a qualified Apple technician to take care of things for you. However, that’s not the only thing that AppleCare takes care of for you. You also get software support, which means that Apple’s team of experts can help you figure out issues with your iPhone that are software related, like trying to figure out how to use iOS, or any of the Apple applications for iPhone. So if you’re stuck on how to make Calendar or Safari your pet, these are the people that can help you do that in a pinch. It’s a great day to be a Verizon customer. If you haven’t gotten the news yet, the iPhone is now available on both AT&T and Verizon. Verizon customers have been waiting a long time for the iPhone, but is it really worth the wait? That’s what you can expect to find out after reading this guide! If there ever was a device that’s been hyped up by the media inside and out, it’s definitely the iPhone. Even though there are plans for a 5th generation device, the current model in use right now is the iPhone 4. One thing that you have to understand right off the bat is that this is going to be a slightly different phone than what you would have found on AT&T. That’s because there are two different standards at play here. On AT&T you have GSM, which is mainly used overseas, and on Verizon you have CDMA, which is more or less unique to North America and a few other places. There are some serious differences between the two, which means that you have to make sure that you know what you’re getting into with the iPhone. It’ll be a lot less painful that way! Speed isn’t going to be a problem with the Verizon iPhone — you’ll be able to take full advantage of those 1xEV-DO rev A speeds, as you might expect. Initial reviews have been pretty positive of this fact, which means that Verizon users can look forward to browsing websites and exchanging data faster than they might have been able to in the past. The screen is still huge at 640×960 pixels, and you can rest assured that the colors are still as vibrant and heavy as they were on the AT&T. Retina is definitely a good thing. The nice part about the iPhone on Verizon is that the interface is much the same. The call quality is a lot higher on Verizon than it is on the AT&T network, but that’s not the only thing that’s superior. On Verizon, the iPhone 4 can act as a mobile hotspot. If you’re traveling along and you want to make sure that everyone around you can connect to the Internet, then you will definitely want to step up to the plate with the Verizon model more than the AT&T version. However, don’t think that this will be a freebie: you will need to pay $20/mo on top of your normal data costs to have the ability to share a data connection with up to 5 devices. Is the Verizon powered iPhone worth it? At this point, we would definitely have to say yes. However, be prepared to find that Verizon’s overall costs are a bit higher than what you might have experienced on AT&T. It just depends. Right now, Verizon has unlimited iPhone data, but this is something that could change as popularity grows. Will this new information steer you to Verizon, or you’ll be staying with AT&T? Sound off in the comments!